World Wetlands Day is celebrated every year on 2 February to raise global awareness about the vital role of wetlands for people and our planet. Theme for World Wetlands Day, 2019 is Wetlands and Climate Change. 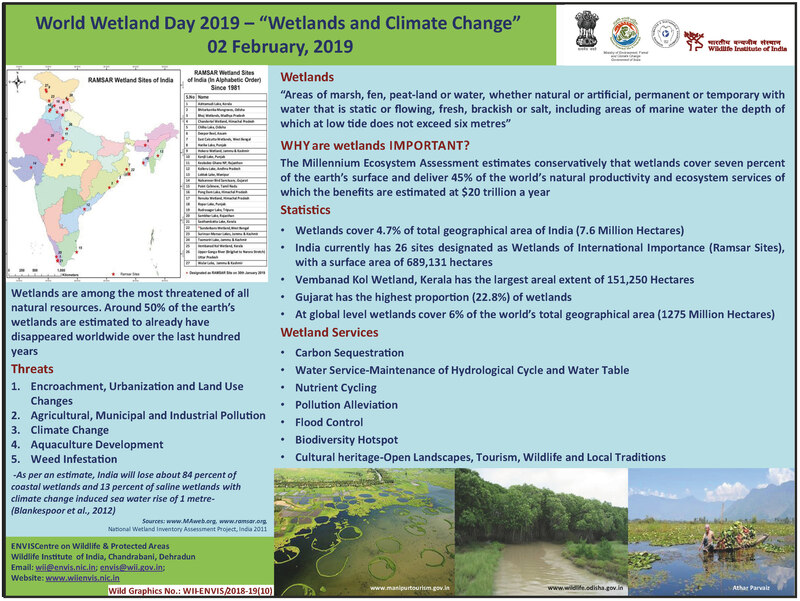 WII-ENVIS centre at Wildlife Institute of India brings out info-graphic poster on the occasion of World Wetlands Day 2019.